WASHINGTON -- Major automakers, suppliers and auto dealers are launching a new coalition on Tuesday to urge U.S. President Donald Trump not to withdraw from the North American Free Trade Agreement. Auto trade associations representing General Motors, Toyota Motor Corp., Volkswagen AG, Hyundai Motor Co., Ford Motor Co. and nearly every other major automaker, are part of the coalition dubbed "Driving American Jobs" and backing an advertising campaign to convince the White House and voters that the agreement has been crucial in boosting U.S. automotive sector production and jobs. Trump has threatened to withdraw from the trade deal with the United States, Canada and Mexico, which is heavily utilized by automakers who have production and supply chains spread across the three countries. In the most recent round of talks to renegotiate NAFTA last week, Trump proposed changes to the rules of origin for autos, which are used to determine how much of an auto is made in a certain place. The proposed rules were viewed as untenable for automakers, as well as Mexico and Canada. The auto industry joins the U.S. Chamber of Commerce and other large business groups that have become more vocal in recent weeks about Trump's efforts to change the 23-year-old accord, saying they would be detrimental to American jobs. They pointed to $9.5 billion in new investments announced this year by the auto and auto parts sector and feature the personal stories of auto sector employees throughout America -- from plant workers to auto dealership personnel. "We need you to tell your elected officials that you don't change the game in the middle of a comeback. We're winning with NAFTA," the group said on its website. The campaign comes amid rising concern that the Trump administration could opt early next year to withdraw after giving six months notice, a move that could expose automakers to high tariffs who are building trucks in Mexico and impose new tariffs on parts and cars made throughout North America. 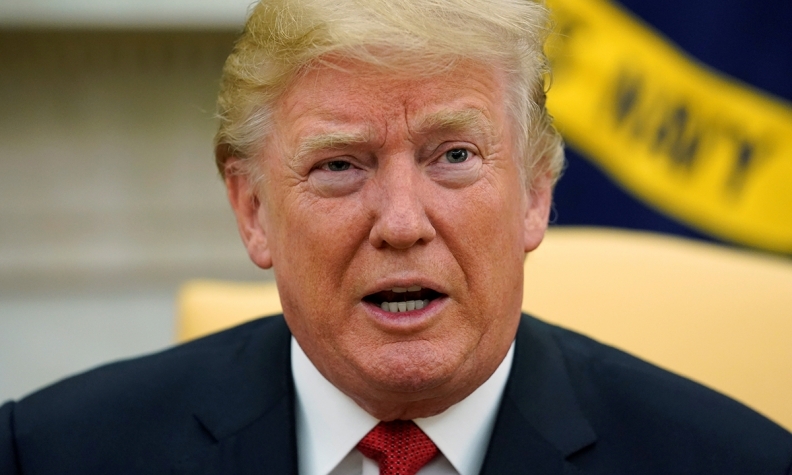 President Donald Trump told the Fox Business Network in an interview that aired Sunday he thinks the deal will "probably" be renegotiated, but said he will withdraw if it is not fair. "We can't allow the world to look at us as a whipping post. Not going to happen anymore," Trump said. The Chamber of Commerce accused the Trump administration of trying to sabotage the talks with "poison pill proposals," including demands for more favorable treatment for the U.S. side on car production, and a "sunset clause" to force regular negotiations. U.S. Trade Representative Robert Lighthizer said earlier this month the Trump administration was focused on trying to get an agreement that was fair but said he had "seen no indication that our partners are willing to make any changes that will result in a rebalancing and a reduction in these huge trade deficits." Under NAFTA, at least 62.5 per cent of the material in a car or light truck made in the region must be from North America to be able to enter the marketplace tariff-free. The Trump administration has proposed raising the amount of NAFTA content in autos to 85 per cent and securing 50 per cent of the total for the United States. Who will protect American interests from American protectionism?